During the Routes America event, we had the opportunity to talk with Jetlines CEO Javier Suarez. Mr. Suarez has over 16 years of experience in the airline industry, including nearly 8 with ULCC. Of the three ULCC leaders invited to Quebec, he is the only one to have managed to make it. To get to the Routes America Forum, Mr. Suarez drove a four-hour between Montreal and Quebec City in the middle of a storm. Considering that he was raised under the Spanish sun and now lives in Vancouver’s mild climate, he must say he is very determined. Jetlines has not yet completed its funding, but this should be done in the coming months. Its deposit to Aercap leasing are up to date and she is waiting for her first used A320 for the second quarter of 2019. The two aircraft she rented were in use at Air New Zealand, and are receiving proper maintenance, the necessary “C” or “D” check will be done if needed. They will be configured in a single class with 180 seats and it will be necessary to await the official unveiling to know the livery of Jetline aicraft. 13 of the 15 manuals required to obtain an airline operation certificate have been completed and submitted to Transport Canada and the process is proceeding normally. Mr. Suarez did not want to give a date for the begining of operations, but about two months before the first flight, the crews should go to the CAE training center in Montreal. 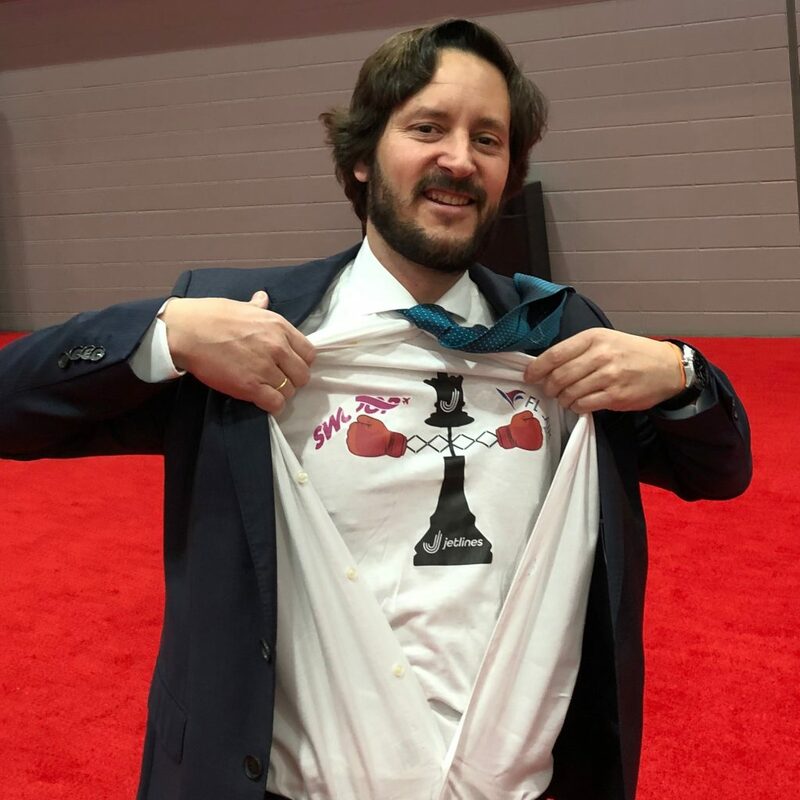 For his visit to Routes America, Mr. Suarez had a jersey stamped on him that upsets the Flair and Swoop companies because they are working in the same market. He wants to make Jetlines the Canadian carrier with the lowest operating costs and the lowest prices. An example of cost control: there will be no individual entertainment system on planes. According to Mr. Suarez, the arrival of Jetlines and its very low prices will allow more Canadians to travel. 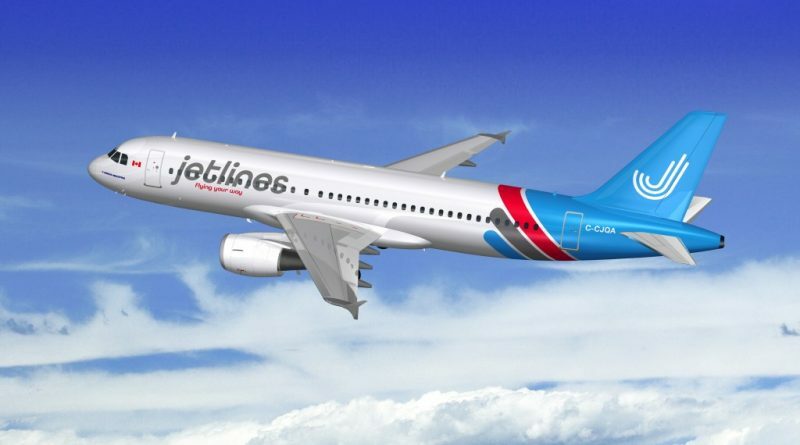 The customers of Air Canada and WestJet are not its main target, although some of the passengers of these two traditional carriers could opt for Jetlines. He wants his customers to be well treated and especially he wants the company to respect his flight schedules. No question of leaving the passengers without information wen things go wrong; the use of technology will allow Jetlines to keep passengers informed of flights status and will give the ability to change flights if necessary using their phone. Mr. Suarez notes that there are several myths in Canada to explain the absence of LCC; the low population density spread over a large territory is not an obstacle to the success of a Canadian discount carrier. He cites the example of Australia, which has a smaller population than Canada with a large territory, which has three LCC. He also says that the high cost of airport fees at Canadian airports is another myth. Although Jetlines will not offer the same salaries as at Air Canada and Westjet, Mr Suarez wants to avoid replicating the model of the bad working relationship of the European discount airline Ryan Air. “If we want our employees (pilots, flight attendants and ground staff) to treat our passengers well, it is essential to respect them and take good care of them.” He gave as an example the fact that crews will be able to come home every day for 99% of the routes that Jetlines will serve; for the few times that a short stay abroad will be necessary, this will be done on a voluntary basis and no employee will be forced to accept a of several days duty. The Jetlines deployment plan posted on its website is not up-to-date and no longer reflects current plans. Mr Suarez is quiet on the first routes of Jetlines because he wants to avoid informing his competitors so that they do adjust before the beginning of its operations. Mr. Suarez confirms his great interest in the Quebec market, according to him it is a market that is vastly under-exploited and offers a lot of potential. He did not want to tell us when Jetlines will arrive in Saint-Hubert and Quebec, but he confirms that their first link will be with another Canadian city.